How much is Anil Ambani Worth? Anil Ambani net worth: Anil Ambani is an Indian businessman, investor, and philanthropist who has a net worth of $300 million. 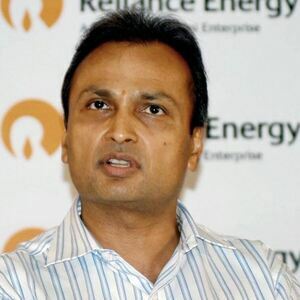 Anil Ambani is the chairman of Reliance Group and is at one point one of the richest people in India. His older brother, Mukesh Ambani, owns a rival company and is the richest man in India with a net worth topping $40 billion. 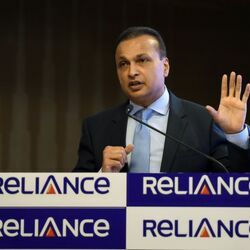 Anil Ambani was born in June of 1959. Their Mukesh and Anil's father Dhirubhai Ambani grew up born dirt poor, started working as a gas station attendant in Yemen and eventually built an empire. Dhirubhai Ambani died suddenly in 2002 without a will. The two brothers fought bitterly to control the empire until 2005 when their mother stepped in and helped broker a truce. The result was that Mukesh took control of the refining and petrochemical businesses and Anil took control over financial services and power generation units. Unfortunately for Anil, time would prove Mukesh's half of the business to be far more valuable. Hence Muskesh being worth $40 billion today and Anil being worth $1.5 billion. Outside of business, Anil is known as a fitness fanatic. Since 2003 he has participated in every half marathon held in the country. In 2009, Ambani invested $825 million into Steven Spielberg's DreamWorks Studios. Anil's contribution helped produce the Academy Award winning movie "Lincoln" in 2012. He is also one of the largest Bollywood movie producers within India. 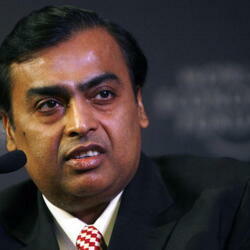 Combined, Ambani owns more than 44 FM radio stations, animation studios, and a number of movie theaters in India. Together with his wife, former Bollywood actress, Tina Munim, he has two sons, Anmol and Anshul.